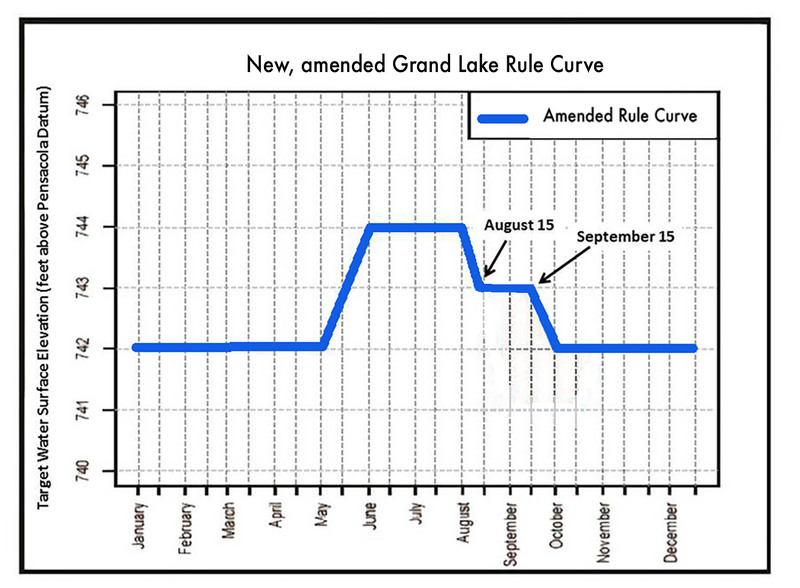 On Tuesday, August 15, the Federal Energy Regulatory Commission (FERC) gave its approval to a GRDA request for an amendment to the Grand Lake rule curve. The amendment is in place through the remainder of GRDA’s current FERC-issued license to operate Pensacola Dam/Grand Lake. That license runs through March 2022. Vinita – The Federal Energy Regulatory Commission (FERC) has approved the Grand River Dam Authority’s request for an amendment to its operating license for Pensacola Dam and Grand Lake. 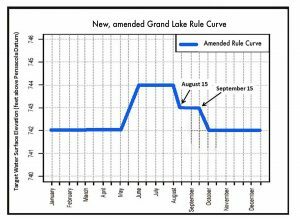 That amendment means GRDA will no longer be required to lower Grand Lake from 744 feet to 741 feet beginning in mid-August.